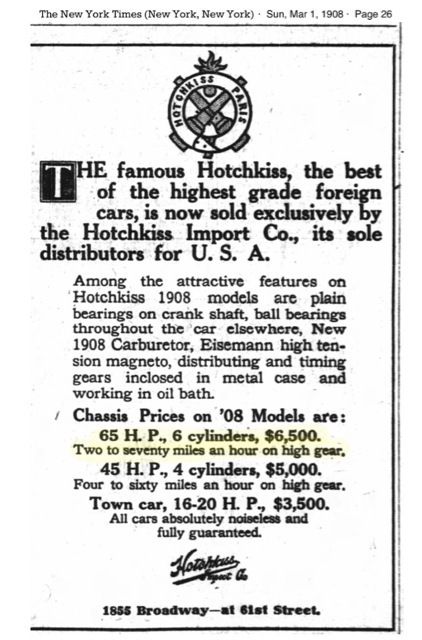 A select group,,considering over 250 automakers sold cars in the U.S. in 1907. 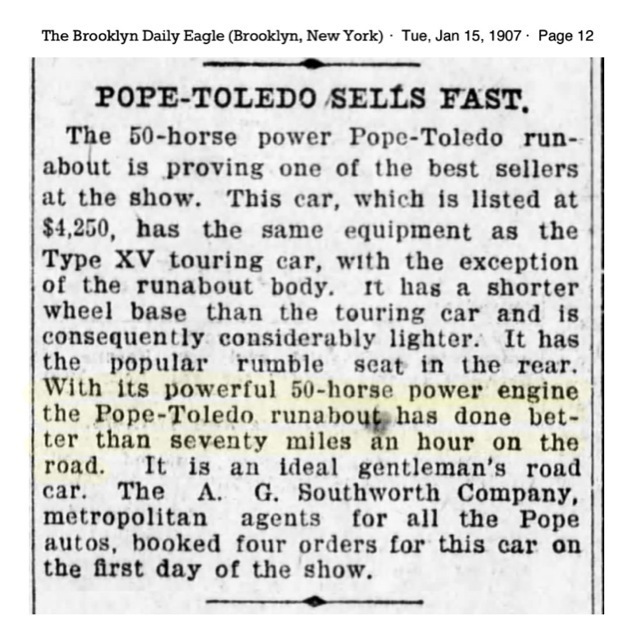 Were there any roads where you could go that fast back in those days? 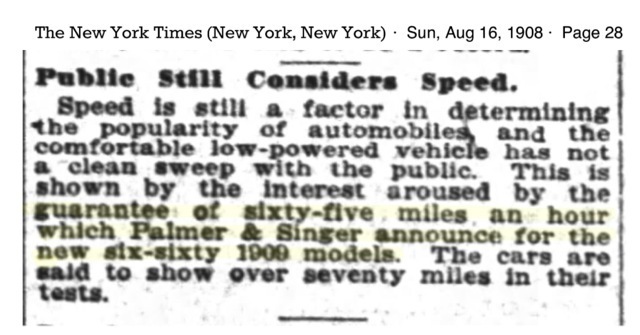 I suppose traffic in the cities had restricted speeds by then, but were there many speed limits out on the open roads back then in the USA? Then you had to consider the general public who wasn't very used to cars - they could stray out in the road without looking.. But it was better to have the power available (for the rare times it could be used) than not having enough for the hills. I am thinking a Stanley should be on this list. 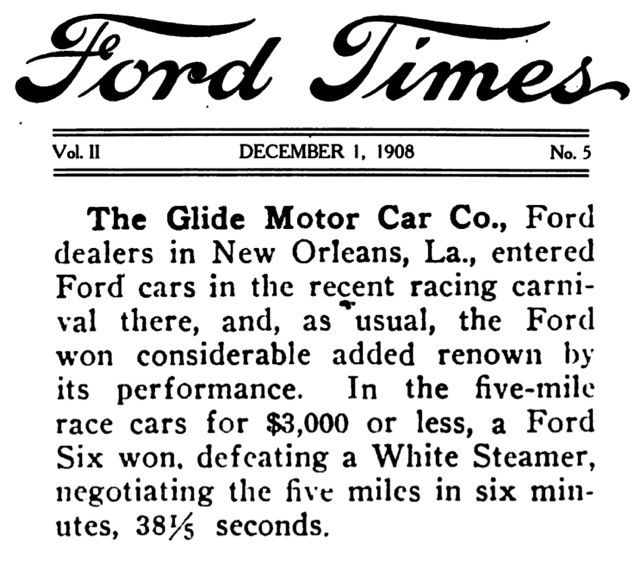 Prior to this time, they held several speed records and I am certain their Gentlemen's Roadster was capable of bursts of 70mph. At that time the road would have been the limitation and not the boiler. Roger, thank you. 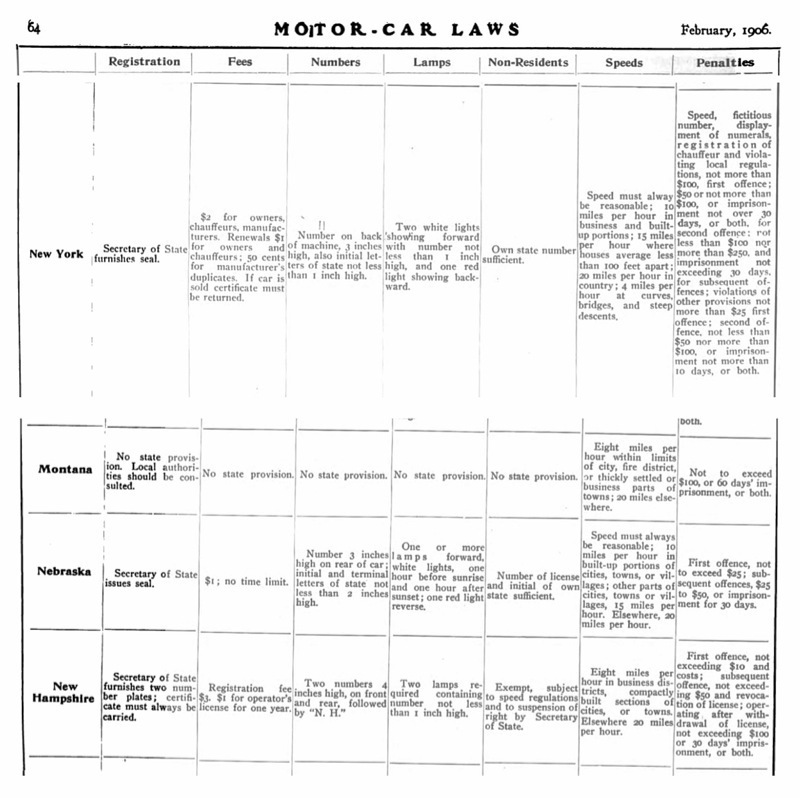 I've posted this before, a February 1906 listing of state (U.S.) traffic laws, including speed. Some statewide maximum speeds were lower, for example the maximum speed in South Carolina was listed as 15mph. Oregon shows a max of 24mph. 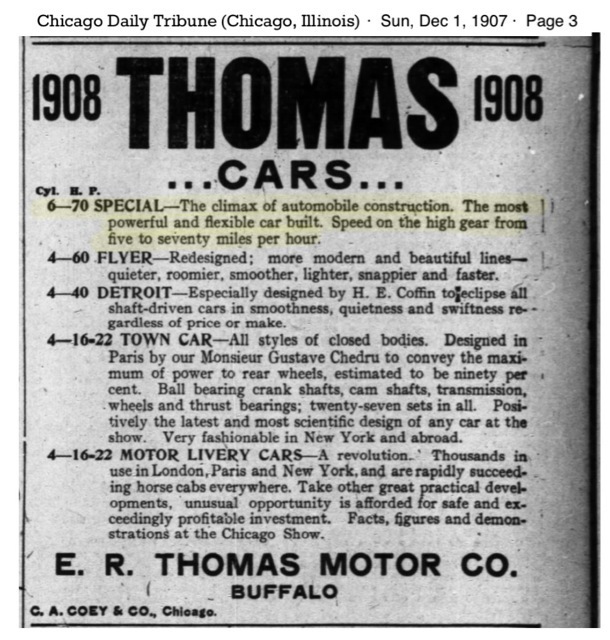 Tom is 100% correct--1907 Stanley "Gentleman's Speedy Roadster" was advertised as "capable of 60mph on a good road". 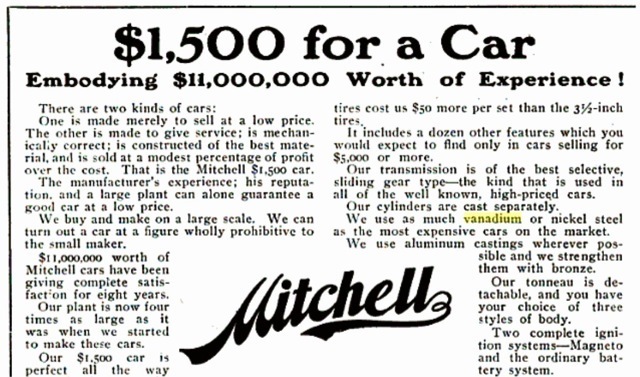 Can't find the ad, but for decades I was going to build myself one (I have a 20hp Stanley engine out in the barn), and did a complete build-up drawing of one on the mainframe computer in college computer drafting class (got an A for it too!) based on photographs and known dimensions of the Stanley chassis. 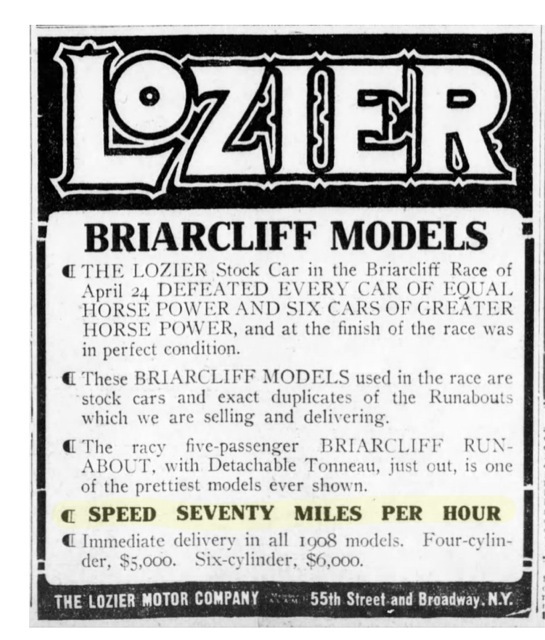 Now I really suspect I will never build it, oh well. . . .
70 mph in 1907 was probably about as useful as a car that will do 180 today. 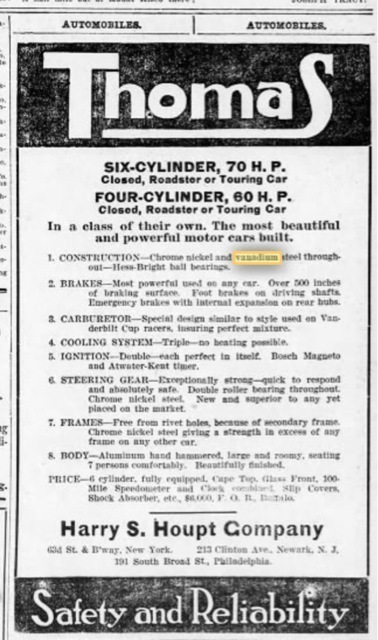 Lets assume that few people owned automobiles of any type and these fast automobiles listed above would have been scary to most folks who still rode horses. 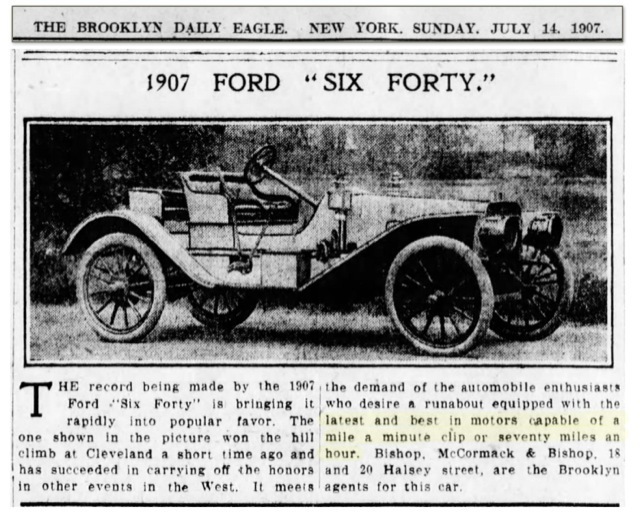 So my guess would be that when folks saw a car doing 70 MPH they were shocked. And now 70 MPH is the average highway speed. Denny, when I searched "seventy mile an hour," there were more hits than I expected. 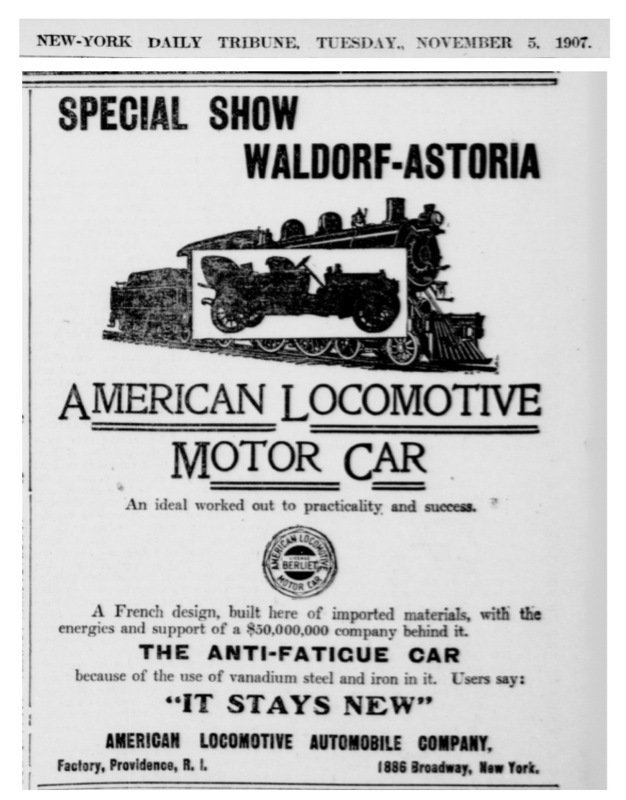 However, most were for locomotives. And many of the stories involved accidents due to speed.
" And now 70 MPH is the average highway speed." Well, maybe in Ohio. In Califunny, you can get run over from behind at that speed. 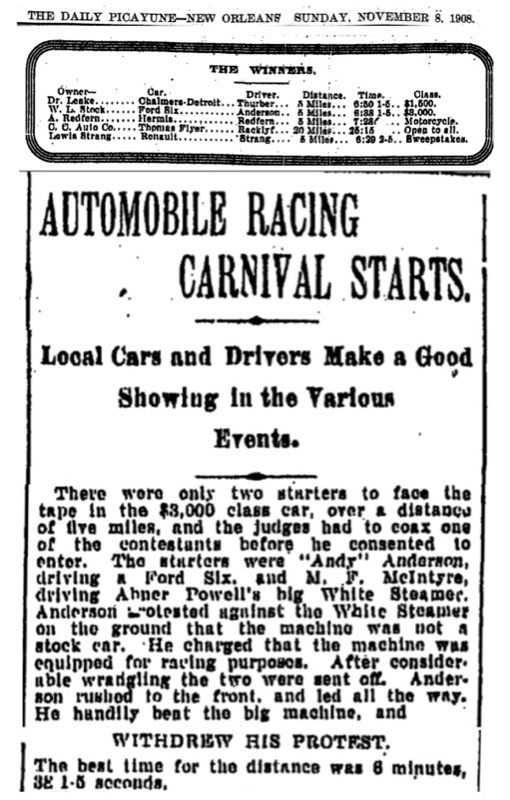 "Our Gentlemen's Speedy Roadster is a light car for two people, and is the fastest stock car in the world. 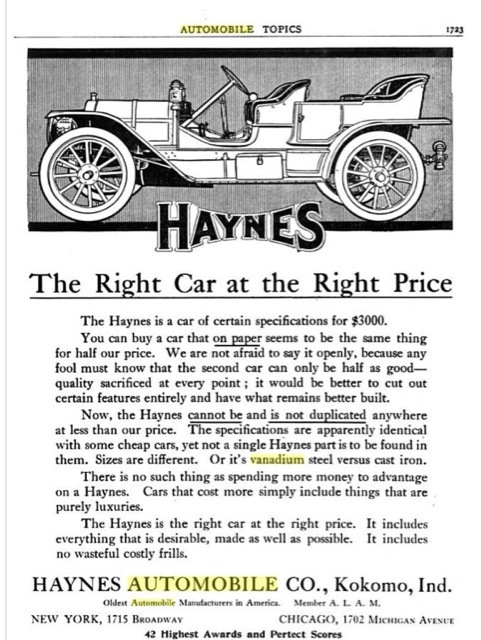 - - - It is indeed a gentlemen's speeding car, and is intended for those who wish to hit up a speed of 75 or 80 miles an hour on a good safe road, without going to the expense of importing a $10,000 racing machine with its noisy cylinders and high expense for tires and maintenance." 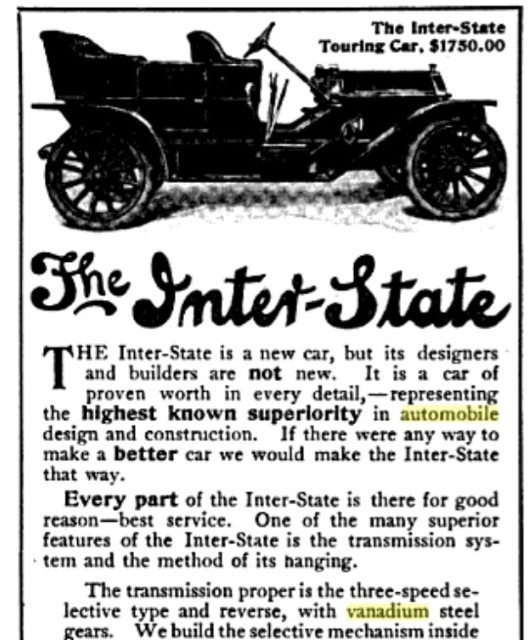 I took this quote from "The Stanley Steamer", by Kit Foster, available from the Stanley Museum, and a superb read about both the cars and the Stanley family. Personally, I suspect we tend to underestimate the quality of roads prior to our "modern" highways. Having grown up on a farm with dirt (unimproved) roads within one mile of home, I used to prefer the dirt unimproved roads to race our motorcycle and cars on as a kid. When not wet (they then turn to mud, as we've seen in photos of early cars hub deep in mud), dirt roads become packed, smooth, and very good surfaces for going as fast as is (un)reasonable. 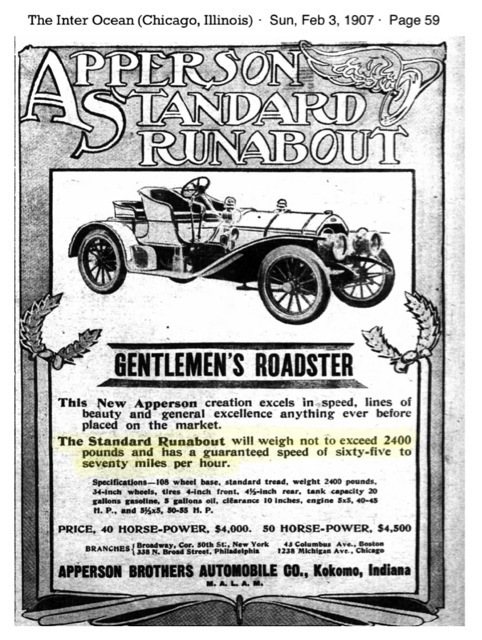 Granted, in Nebraska we don't see as much rainfall as in the east, where most cars were in the early days of motoring, still, I suspect there were plenty of opportunities to find the top speed of cars. 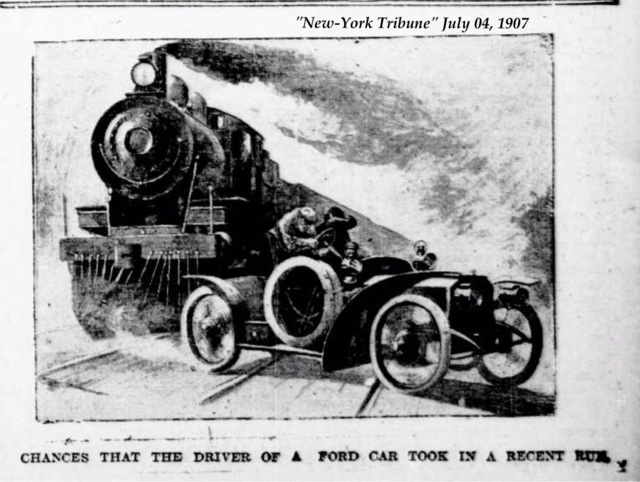 1906 article, "The Motor Way"
Thanks Gilbert--and I have that book! I could've looked it up!! 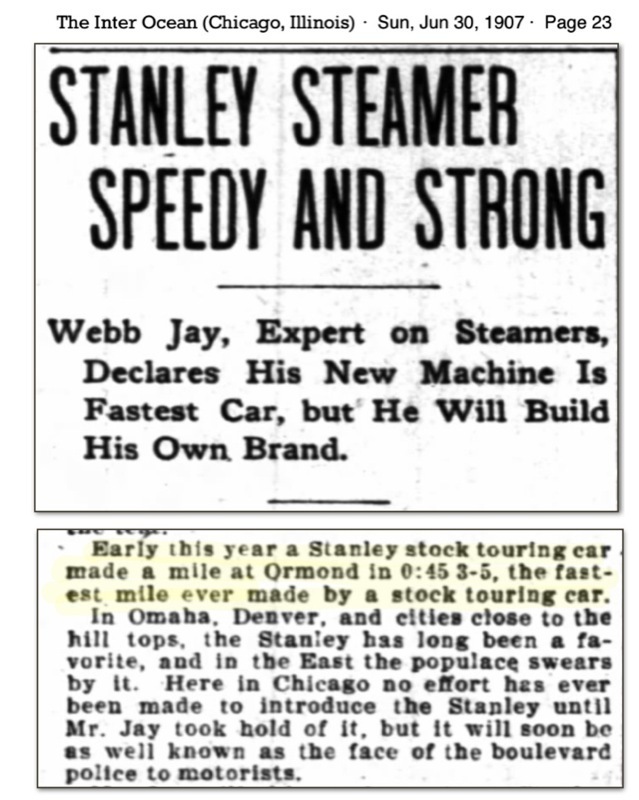 Now consider the Stanley had a wooden frame, and the steering gear was a gear on the bottom of the column meshed with a Pittman arm & gear bolted to that wood frame. And you're doing 70mph with that assembly!! Hope the bolts are tight & the wood in good shape!! 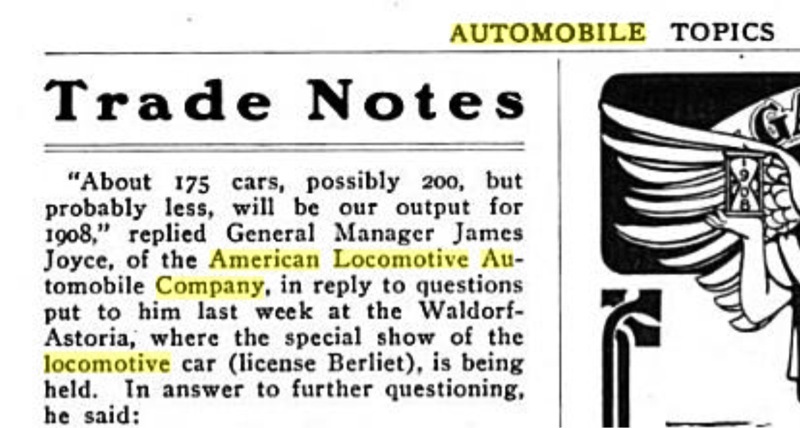 Denny, I've seen a few ads with a car alongside a locomotive. 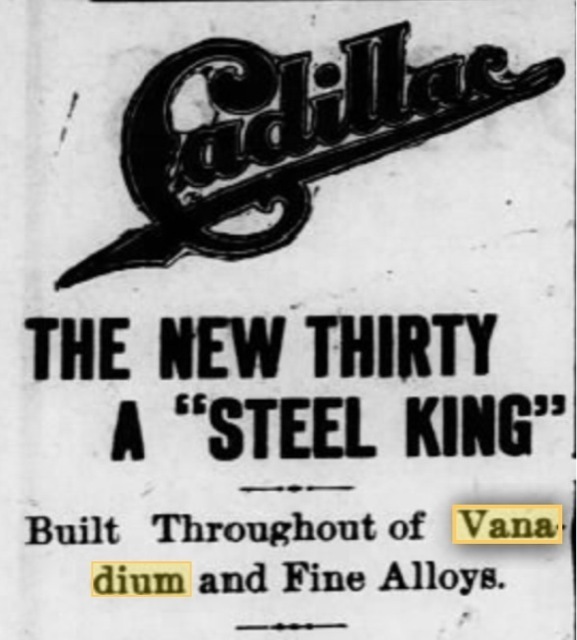 One car was named something similar (I'll think of it later). 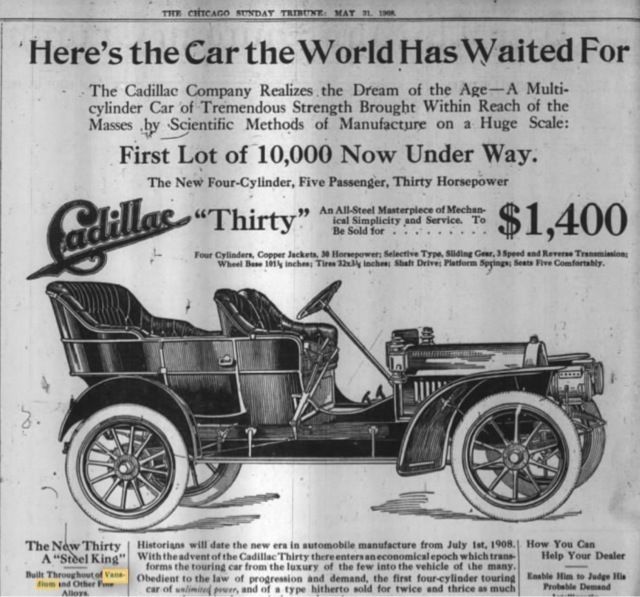 Are you thinking of Locomobile?